Hamilton overtook his pole-sitting team-mate Valtteri Bottas off the line and never looked back, eventually taking victory in F1's 1000th grand prix by six seconds. 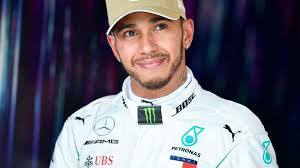 "It's not been the most straight-forward of weekends but what a fantastic result for the team," said Hamilton, with Mercedes sealing three consecutive one-twos to start F1 2019. "The start was where I was able to make the difference." After passing Vettel at the start, Leclerc was told to give way to Vettel on Lap 11 - but the German didn't pull away and the move hampered the rest of Leclerc's race. Pierre Gasly secured his best result of the season in sixth in the sister RB15 and also snatched the extra fastest lap point, while Daniel Ricciardo, the man he replaced at Red Bull, impressed for Renault as 'best of the rest'. Sergio Perez and Kimi Raikkonen were eighth and ninth, while British-born rookie Alex Albon sensationally completed the top-10 despite starting in the pit-lane for Toro Rosso.